According to latest security updates from Microsoft, your system can be hacked by just taking advantage of Vulnerability in Microsoft OLE . The OLE refers to the Embedded content in the PowerPoint or excel, so if you are planning to download some PowerPoint from strangers beware it can be the one to hack your system. How does it work in PowerPoint ? 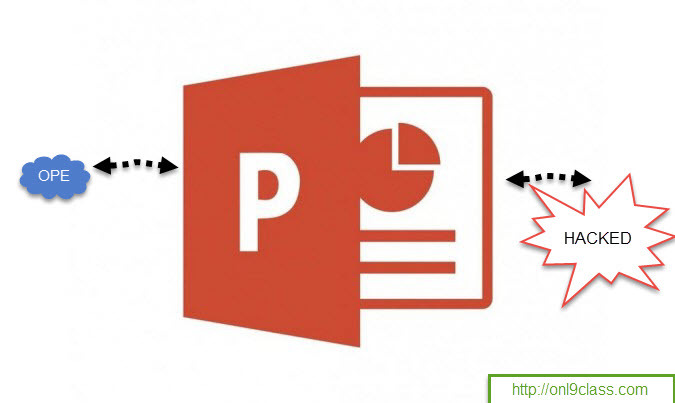 This Vulnerability allows the remote code execution so if someone specially designed an OLE object and embed it into PowerPoint presentation, he can gain the same rights over the machine as of current user. Since Microsoft hasn’t know about it for a long time, it can be widely spread till now. As of now, Microsoft is still investigating the issue and yet yet to decide about security patch release. Apart from Windows Server 2003, all the systems are affected. here is the list released by Microsoft. you can follow the below guidelines. if your system is windows vista or above, it has User Account Control (UAC) enabled, so it displays a consent prompt or an elevation prompt, depending on the privileges of the current user. So make sure you got file from same point, before allowing it. Don’t open downloaded/received file from strangers. if you receive any security update regarding this, make sure you update your system.